It's that time again! Time to show off your riding, camera, and editing skills with another video edit contest! This time, the contest is sponsored by X Games, who will be providing a mystery grab bag for the winning edit! As you probably guessed, this edit contest is focused on the Winter X Games 2016 course that we launched earlier this year. We want to see the most creative edit from that level. Show us how you dominate the slopestyle course, get massive air in the super pipe, and spin to win off the big air jump! If you don't own the Winter X Games course already, now is a great time to pick it up - in fact, it's even on discount right now for 299c! The contest will run from today (December 16th) until January 9th and the winners will receive in-game Credits and a SNOW tee-shirt and sticker pack. 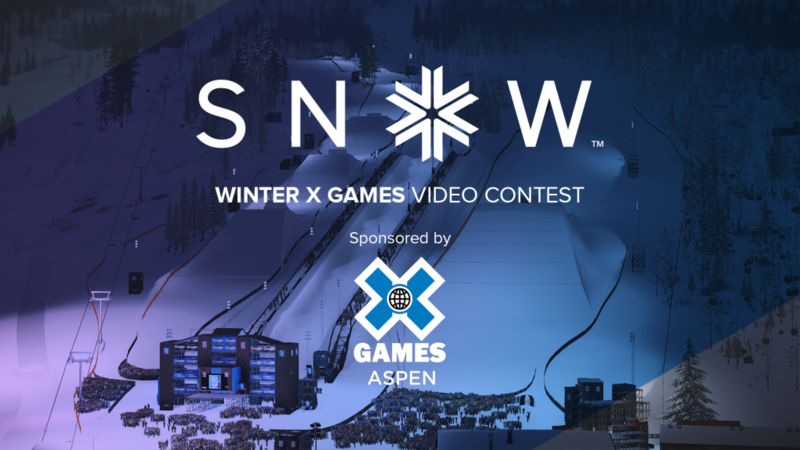 The Gold Medalist will also have a chance to design a custom in-game hoodie and receive a mystery prize directly from the good folks at X Games! With all the new replay manager features that we added in Game Update 0.9.0, we're looking forward to seeing what you come up with. Make sure to submit your entries here.